For my birthday dinner, I decided to go back to the old faithful Medlar. This would be my 12th meal (I probably only write about 1/3rd of the meals I eat out) here this year and I could not think of a better way than to spend an evening eating unpretentious food with some nice wine. A few weeks beforehand, I had asked David if he would be the kitchen would be kind enough to cook me a roast chicken dinner. But not any roast chicken dinner of course. A poulet de bresse dinner which would require a bit of pre-ordering and planning. When he answered in the affirmative, I was palpably excited. I would be joined by the ‘Pies’ for this dinner. With the main course sorted, all we had to do was pick our starters. Having had a pretty substantial lunch earlier in the day, I went for the not-so-light option of burrata with caponata. “What is burrata?” I heard the senior gentleman on the next table ask his wife. “Oh it is salted cod roe” his wife very quickly and confidently replied. “Well that doesn’t sound nice does it” the man replied. He proceeded to order the crab raviolo later. My last couple of visits to Medlar has seen a few changes to their staff with the departure of two key members. Sylvain their restaurant manager has moved on to the maitre’d position at L’Ortolan (Reading) while their head sommelier Clement has taken up a buyer/ head sommelier role at 28-50. It is a huge shame to see the two of them leave and wish them all the best in their new endeavours. No doubt I will bump into them in the future. Instead of posting regularly about my visits to Medlar, I have decided to do a monthly round-up of my meals there and the new dishes tried. As usual, I have popped in every fortnight or so and have managed to try most of the new dishes on the menu. 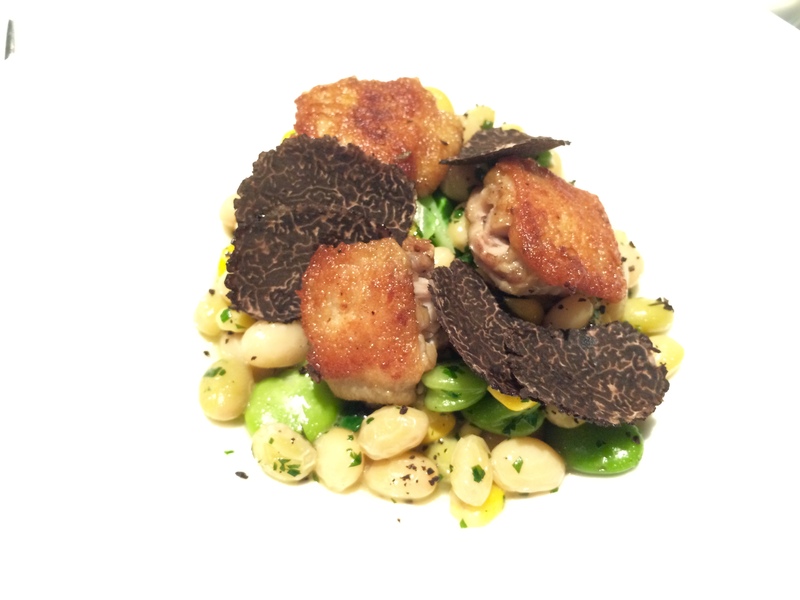 Of the new starters tried, my favourite was the Chicken Wings with Australian Black Truffles – the deboned crispy confit chicken wings were sat on top of a lovely fricassée of coco beans, corn and broad beans. Australian winter black truffles are a relatively new addition to the British dining scene and are completely different (and cheaper) than Perigord truffles and it added a lovely earthy note to balance the freshness of the dish. 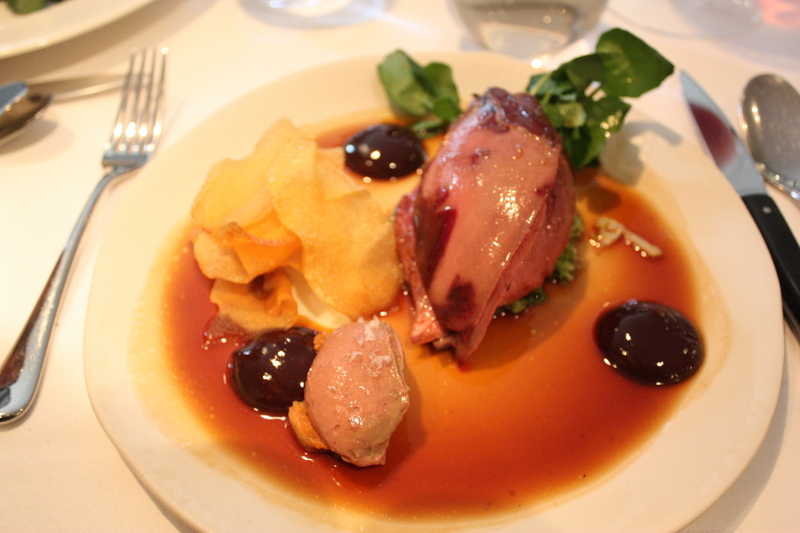 Medlar, London – No Star? No Problem! I have a confession – I am a regular at Medlar. On average I dine here twice a month. I have been coming here soon after they opened and have gone through all the ups and downs of winning and subsequently losing a Michelin star. As much as I enjoy Michelin star dining, I love good food even more. 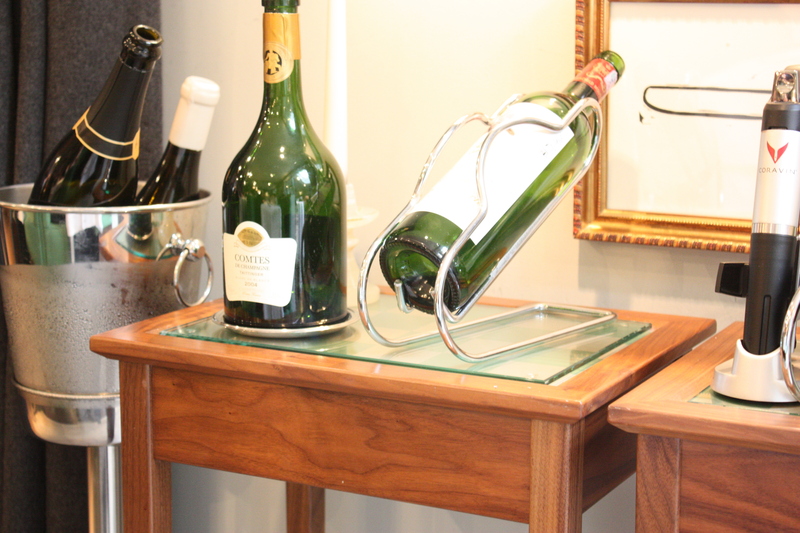 Even more so if it is delivered in a casual setting with a good wine list and service to match. That is something Medlar does very well – offer delicious food, at a very fair price point with relaxed yet attentive service. And I can enjoy all of this dressed in a t-shirt and jeans if I so choose to do so. The menu here is simple, 3 courses for £46. No lengthy tasting menus. If you are free for lunch, the same menu (minus one or two dishes) can be had for £28, a real bargain given the quality of cooking. There are options for everyone. The menu is constantly changing every month with new dishes introduced to match the seasons. Chef/owner Joe Mercer Nairne has not only trained in some of the top kitchens in England but also had a stint working under Neil Perry at Rockpool. His time in Australia is often reflected in his cooking which features a myriad of international flavours.